Even the smallest bubbles in the hydraulic system can cause issues with the clutch working properly. Keep clutch pedal in the up position. Fill the reservoir with fluid. Connect transparent hose to bleed hole and to an empty container placed under the bleed hole. The system will drain by gravity. A mixture of fluid and air drains out of the bleed hole. Pump the clutch pedal quickly in succession, flooring it. Close the bleed hole when there are no air bubbles in the fluid coming out. Return the clutch pedal to the up position. Push pedal down as far as it can go. Open bleed hold, a mixture of fluid and air bubbles should come out. Return clutch pedal to the up position. Repeat procedure until no air bubbles are left. Top up fluid to max mark on reservoir. Check that the clutch system is operating correctly. Click here to see range of clutch and brake bleeding tools available. 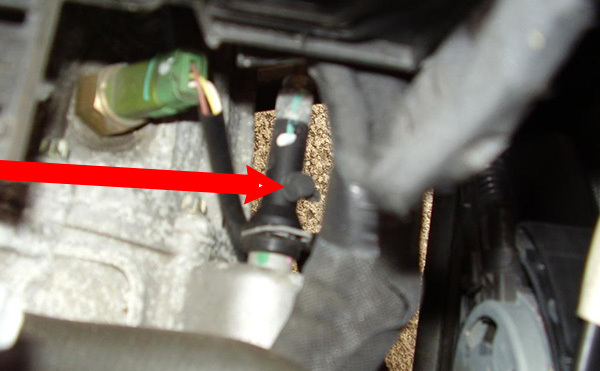 Below is the location of the bleed valve/hole on the megane. Follow where the pipe enters the gearbox and you should find the bleed valve fairly close to the gearbox. It may have a rubber cover on it.